My cat, Pookie, can be a bit of a diva. She insists on lounging on the foot of my bed, MUST be fed at 6:30AM sharp, and needs constant affection, but only on her terms. Despite her diva tendencies, I love this cat. I cannot imagine my life without her silly antics or dramatic meows for treats. She’s my baby. So, you can imagine the pickle I’m in dating someone who is very, very allergic to cats. At first he tried to play it off and simply pop an antihistamine, but it wasn’t cutting it. After spending a few hours at my place, my boyfriend would be sneezy, itchy, and even a bit wheezy. We’re talking serious allergies. The idea of having to pick between Pookie and my boyfriend seemed unfair. Why can’t we have it all? Pet ownership is not something to be taken lightly. Getting rid of Pookie isn’t even an option but I’d also like to be able to have my boyfriend over to my place without him feeling like death. 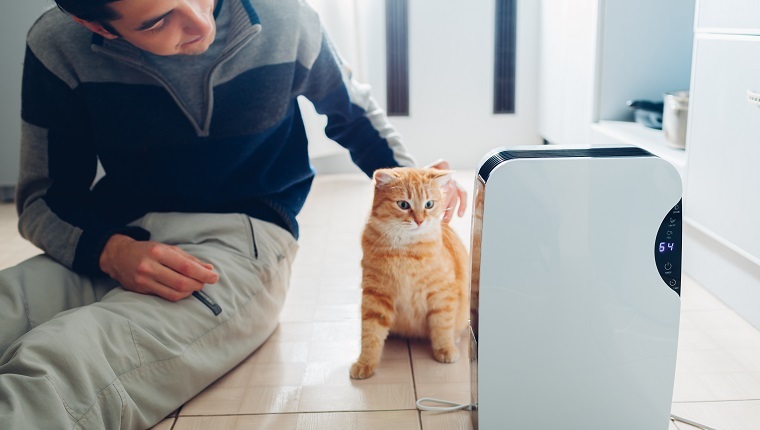 CatTime has a ton of tips on how to keep allergens at bay, but for those of us fortunate enough to be allergy free, taking care of your place for someone who does have allergies can be a big lifestyle change. Here are a few precautions I’ve been taking to insure that both Pookie and my boyfriend are comfortable in my apartment.
. I felt like a bad cat parent taking it away from her, but nearly every allergist agrees: the bedroom should be as allergen-free as possible. that’s all her own. I placed it right under a window in my living room, so she still gets some luxurious sun, and my boyfriend is able to breathe a little easier at night. For those unwilling to kick kitty out of the bedroom, I have a friend who has cat allergies and owns cats, and she took a large comforter and placed it on top of her bed and pillows for her pets to lounge on during the day. She simply peels it back, folds it up and puts it in the closet before crawling into bed. HEPA stands for high-effciency particulate air. It is a mechanical air filter that is fine enough to trap things such as pollen, pet dander, dust mites, and other allergens. It has honestly made a difference compared to just vacuuming. That said, you shouldn’t skip the cleaning, either. Be sure to vacuum places such as area rugs and carpeted rooms extra thoroughly, as they are natural traps for fur that has been shed. , work in smaller spaces such as a bedroom or office, but you may want to get several for throughout your place. If you’re dealing with bad allergies, you may need to clean your house from top to bottom a few times a week–three times a week would make a huge difference in your life and doesn’t take as long as you think it will. Start at the top and work your way down. Begin by dusting and wiping lamps, picture frames, tables and surfaces, then finish with vacuuming and sweeping up everything that’s fallen to the floor. It really makes a difference in the life of someone suffering from allergies who can’t imagine life without pets. Cats generally stay clean on their own, but when it comes to getting rid of dander and allergens, you may need to give them a hand. 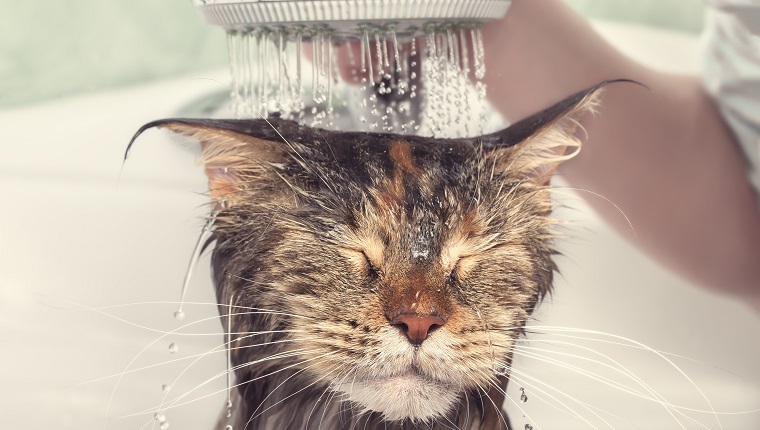 If you are able to bathe your cat, be sure to do so before an allergy-afflicted guest comes to visit. Washing your cat will loosen up and get rid of dander down the drain instead of around your house. Talk to your veterinarian about how much bathing is appropriate for your cat. Too much bathing can remove natural oils and affect coat and skin health. once a week. I have been using it on Pookie, and it seems to not only help with my boyfriend’s allergies, but her coat seems shinier, too. Another reason Allerpet is nice is because you need zero water to use it: simply work the formula into your cat’s coat and wipe off. A lot of people assume that allergens are strictly in the dander of a cat. Did you know that cat urine plays a HUGE part in human allergies to cats? 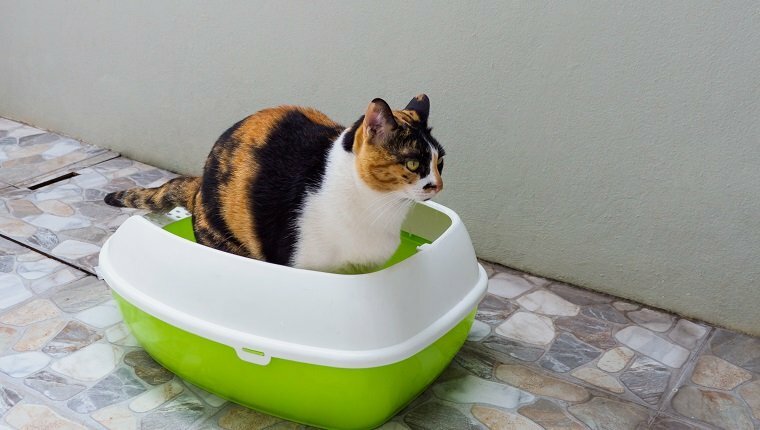 Be sure to clean out your cat’s litter box as often as possible, and use a litter that isn’t going to get dusty and float up into the air. Check out some of our reviews of cat litter and see which one fits not only an allergy sufferer’s needs, but your cat’s needs, as well. For some, simply taking over-the-counter allergy medication is enough. Sometimes, however, that just won’t cut it. Have your significant other talk to their doctor about allergy solutions, such as steroid shots or prescription nasal sprays. 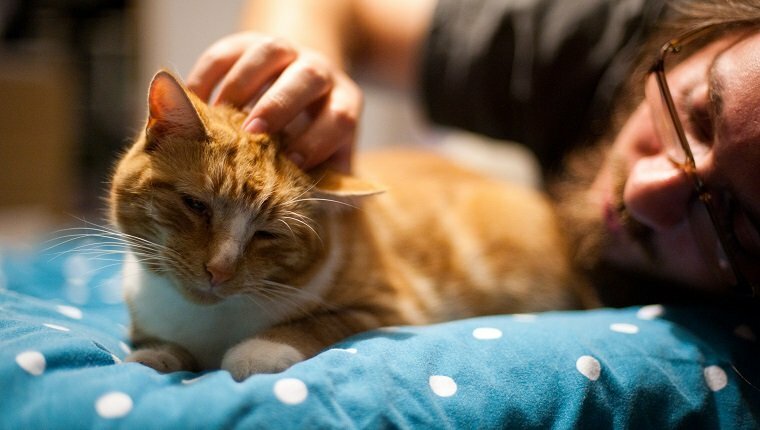 If you are going to great lengths to make sure your partner is comfortable in your home with your cat, they can meet you halfway and speak to their doctor. I am hoping that over time, my boyfriend’s immune system shapes up and is able to tolerate Pookie without all of these aforementioned extra efforts. His immune system has tolerated different cats in the past, so hopefully, eventually, Pookie fits this bill, as well. People can develop immunity to an animal they are allergic to over time. It could take a few weeks or months depending on the allergy, but you should consult your doctor before you try to develop such an immunity. Other things you can do include making sure you’re wearing clean clothes and washing and bathing yourself before spending time with your beloved. I always wash my hands and face before touching my boyfriend. 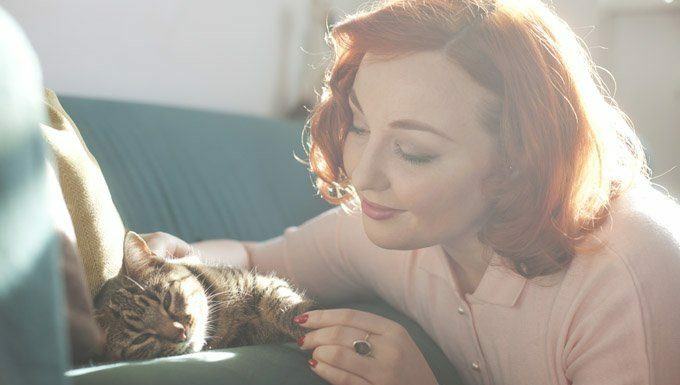 Are you romantically involved with someone who has severe cat allergies? What do you do to make sure both your cat and partner are comfortable in your space? Let us know in the comments below!